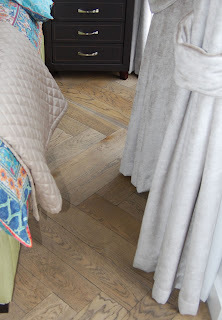 French Provincial Design and Supplies - The Good House: Herringbone parquet floor - Classic or Contemporary ? 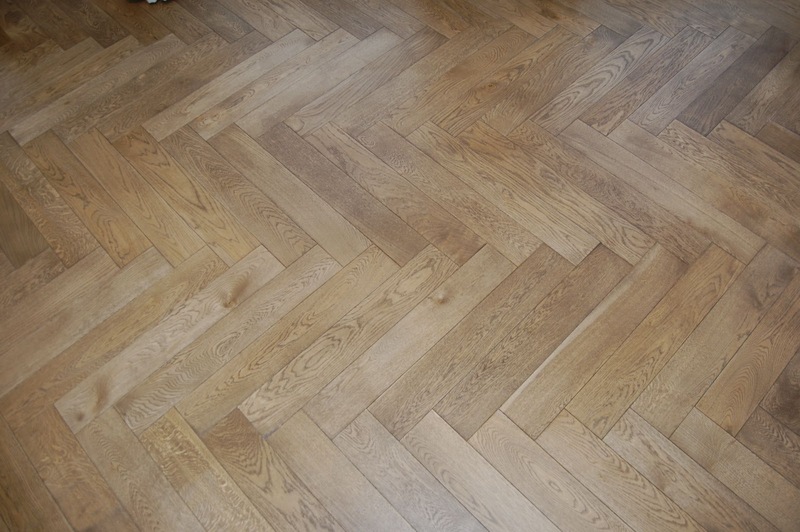 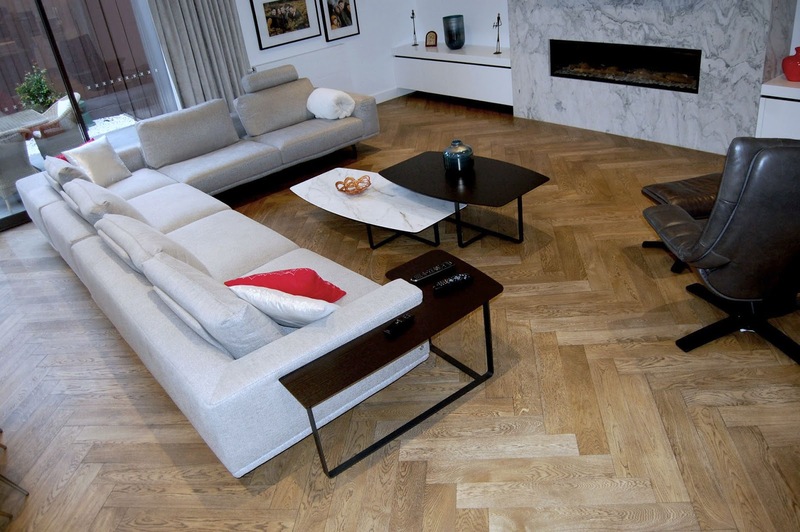 Herringbone parquet floor - Classic or Contemporary ? 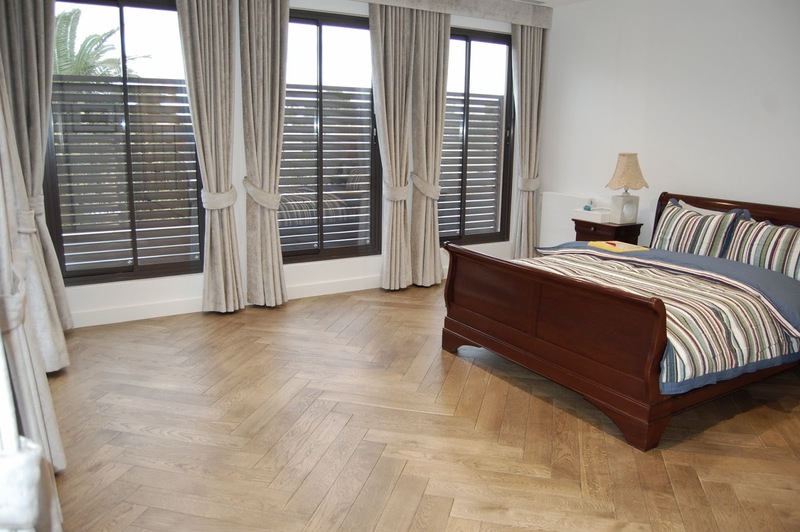 This recently completed project in Brighton aptly raises the question as it entails traditional Tongue & Groove Herringbone blades in a rather modern setting with a trendy and subdued leached grey finish. 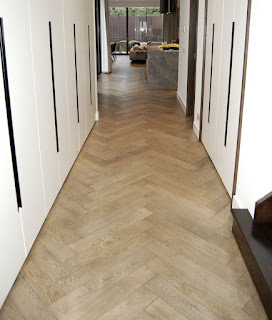 The blades are 125mm wide, 750mm long, and are outlined with a micro-bevel. 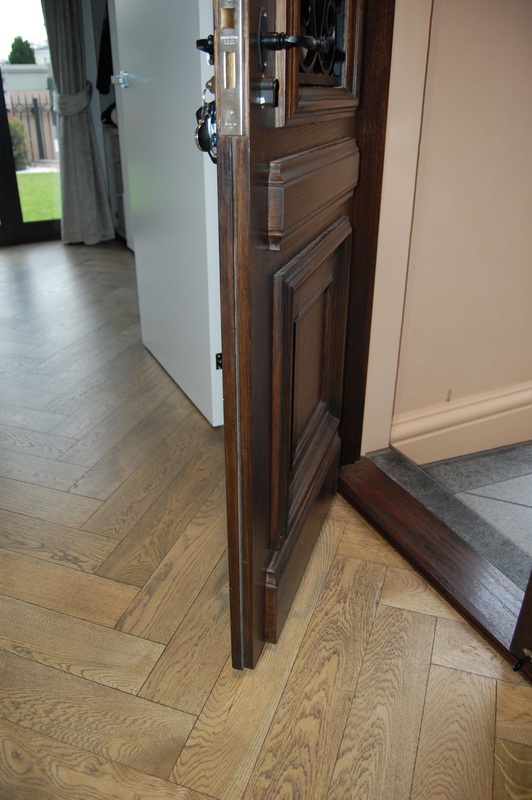 Larger width, bevel and factory finishes are features only rendered possible by the T&G manufacturing type, which also is the traditional way parquetry was always made in Europe, be it in the French castles of the Renaissance period, or in 19th century Paris apartments. 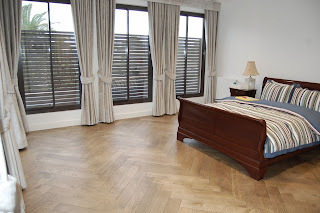 Please review the pictures below and decide for yourself. 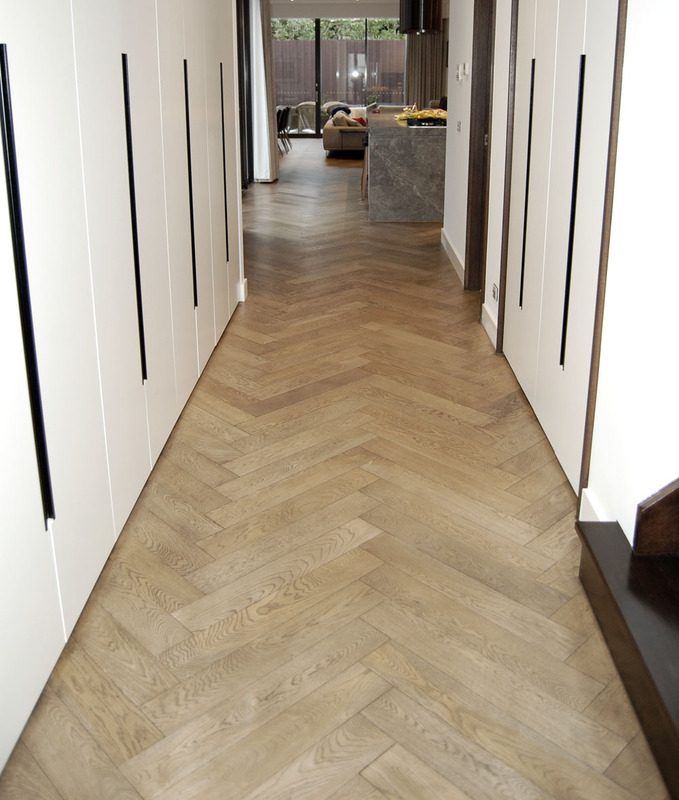 At The Good House, we believe a parquetry floor is simply timeless ! Coming home to the warmth of a French oak floor ..!